Mercado Benito Juarez serves products from his home state. Each ingredient is carefully selected and guaranteed fresh from the mouthwatering Mole that is imported directly from Oaxaca to the huge appetizer platter that includes a Mexican delicacy, grasshoppers, quesillo, and chiles de agua. Make sure to stop by for the steaming hot tortillas made of 100 percent white or blue corn, all made daily. 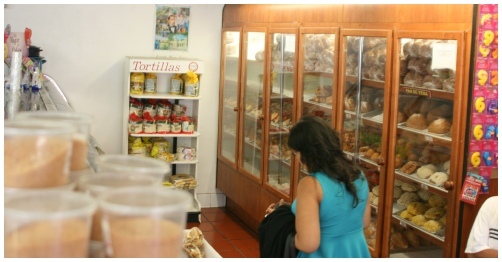 Mercado Benito Juarez is a Bakery, Restaurant, Tortilla shop, and a butcher shop who is closely involved in the community and sponsors many events to empower and advocate the rich culture of Oaxaca.